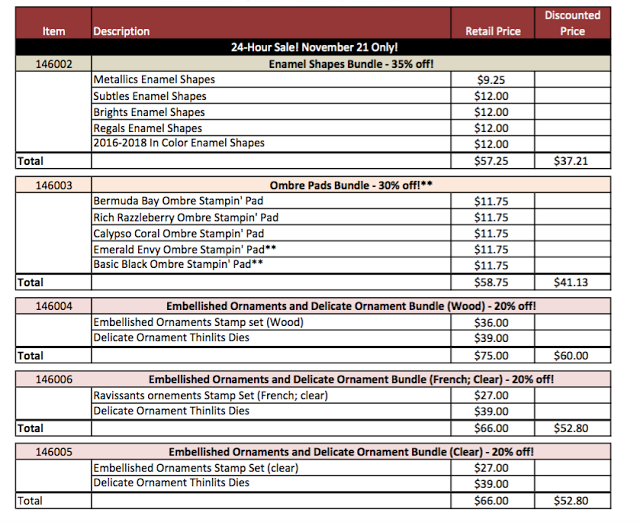 Karina's Kreations: Stampin'Up Online Extravaganza starts today! 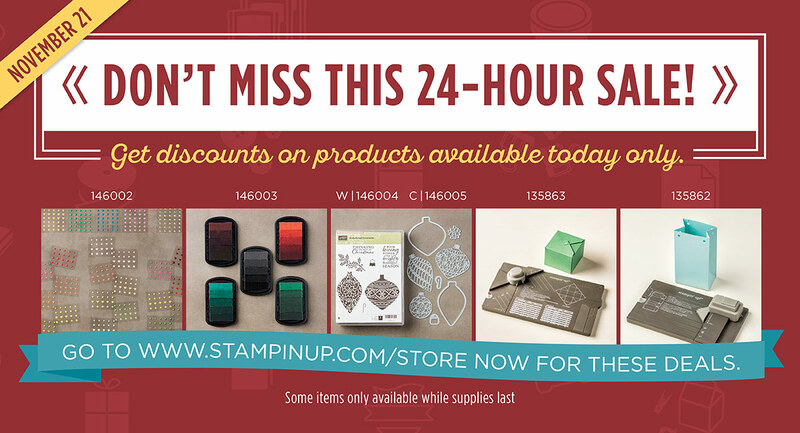 Stampin'Up Online Extravaganza starts today! The Stampin'Up online extravaganza sale starts today Nov 21- Nov 28. You can get the items pictured above on sale today only. Here's a link to my online store to see all the sale products or to place an online order. 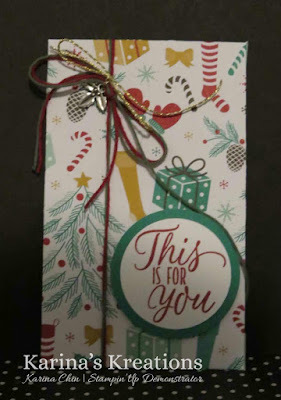 I wanted to share a cute gift card holder with you. The gift card holder is made with the Presents and Pinecones Designer Series Paper #141986, Christmas Trinkets Embellishments #141997, Baker's Twine Trio Pack #141999 and the Tin of Tags Stamp Set #142180.